It only takes the weather to be unfavorable, and megacities across the world sink into wafts of mist. According to the World Health Organization (WHO), some 7 million people die every year partly as a result of inhaling polluted air over longer periods. Increasing traffic has no doubt contributed to creating “thick air.” Many nations are in the middle of campaigns to reverse the trend by pushing e-mobility, arguing that electric vehicles don’t have exhaust pipes as sources of poisonous nitrogen oxides and particulate matter. But a closer look reveals that fine particulates cannot be reduced drastically through electric cars. “Irrespective of a car’s transmission system, it will always produce a lot of particulate matter,” says Jan-Eric Raschke, who heads the fine particulates/filtration division at the German company Mann+Hummel. He explains that roughly 90 percent of all particulate emissions in cars stem from tire wear and the braking system. Mann+Hummel is the global leader in the production of filtration systems. The family-run firm has so far made 93 percent of its overall revenues of a little under €4 billion ($4.5 billion) annually, from the car industry. Statistically, there is at least one filter from the company in every car across the globe, be it an air filter, and oil filter or something else. In the future, technology for cleaner air will become even more important for the firm, says Werner Lieberherr, who’s been at the helm of the company for over 4 months now. He believes there’s a strong potential in this area that may also help the firm overcome its slowdown last year. “At the moment, we’re strengthening our Life Science and Environment division; this is where we want to generate stronger growth,” says Lieberherr. To this end, an in-house startup was launched one and a half years ago to explore how particulate matter can be filtered out from the air we breathe. A green box under the Streetscooter — an all-electric delivery van for Germany’s Deutsche Post — makes the vehicle the first emissions-neutral car in the world. The Mann-Hummel device filters out roughly the same amount of particulates as the van emits while in operation. Apart from such mobile particulate filters, the company has also developed posts to be installed alongside roads. They consist of three white cubes stacked on top of each other. “It’s a system of multiple filters, including a prefilter that absorbs big particles plus a main filter that’s designed to catch the smaller particles,” says Jan-Eric Raschke. Ventilators behind the filters make sure that roughly 10,000 cubic meters of air gets sucked into the filters per hour. A group of 17 prototypes has already been installed along one of Stuttgart’s busiest roads where thresholds for allowed amounts of nitrogen oxides and particulates in the air have been exceeded time and again. Over the next couple of weeks, the data from the installed systems will be processed to see how successful the filters have been in making the air cleaner. Raschke notes that besides filters for particulates, technology is also being developed to remove nitrogen oxide from the air. In the end, there would be filters that could do both tasks. This doesn’t mean that filter systems for cars will be neglected at Mann+Hummel. On the contrary, this business segment will be vital for becoming bigger on the Chinese market where the company has a lot of catching up to do when it comes to contracts with domestic carmakers. On the other hand, instead of importing high-tech products from abroad, China is increasingly interested in developing such products itself. But Mann+Hummel’s R&D division is resolved to secure its competitive edge over its rivals abroad. The company reinvests some 4 percent of overall revenues in research and development. Of its 20,000 or so employees, more than 1,000 are researchers or developers. It’s not without some pride that Thomas Haubold is showing me the company’s lab at the headquarters in Ludwigsburg. White neon light shines on the boxes where filters are being tested. In some of the rooms there’s a smell of burnt oil in the air. Here, the filters are being put through their paces to make sure they function as they should, also at extreme temperatures and while in movement. 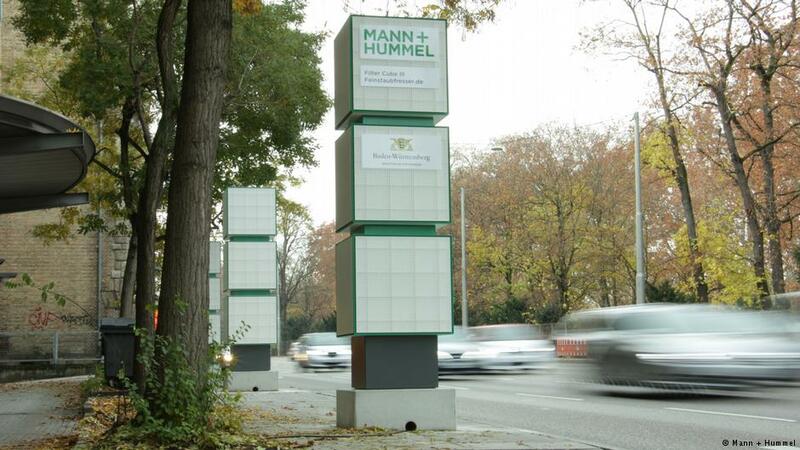 It’s not only owing to the quality of its products that Mann+Hummel has stood its ground on the market for 77 years. CEO Werner Lieberherr argues, though, that the company will have to adapt to regional differences a lot more in the future to remain successful. With more and more electric cars expected on the roads, the company needs to rejig its business model. Filters for conventional vehicles have brought in the biggest share of revenues, but that’s obviously going to change with e-mobility on the rise. 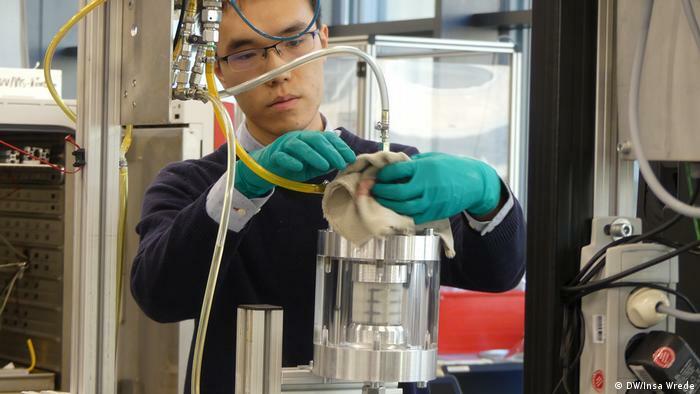 Future technical innovations in the car industry will still require clean air and clean water, without which no modern fuel cell or gearbox would work, says Gunnar-Marcel Klein from the team that develops filter elements.